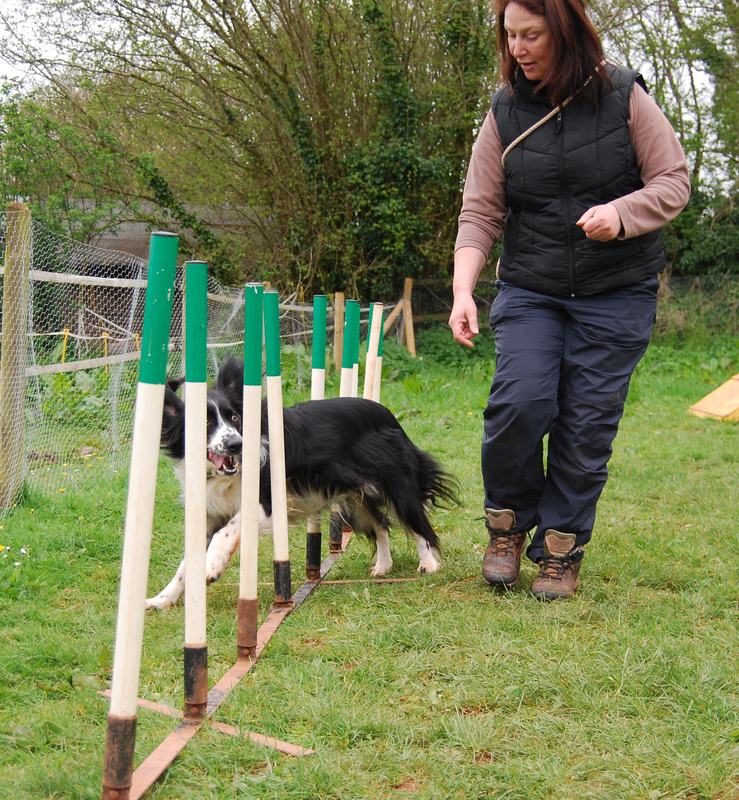 My name is Jan, and I started Quintor Agility in 2007. 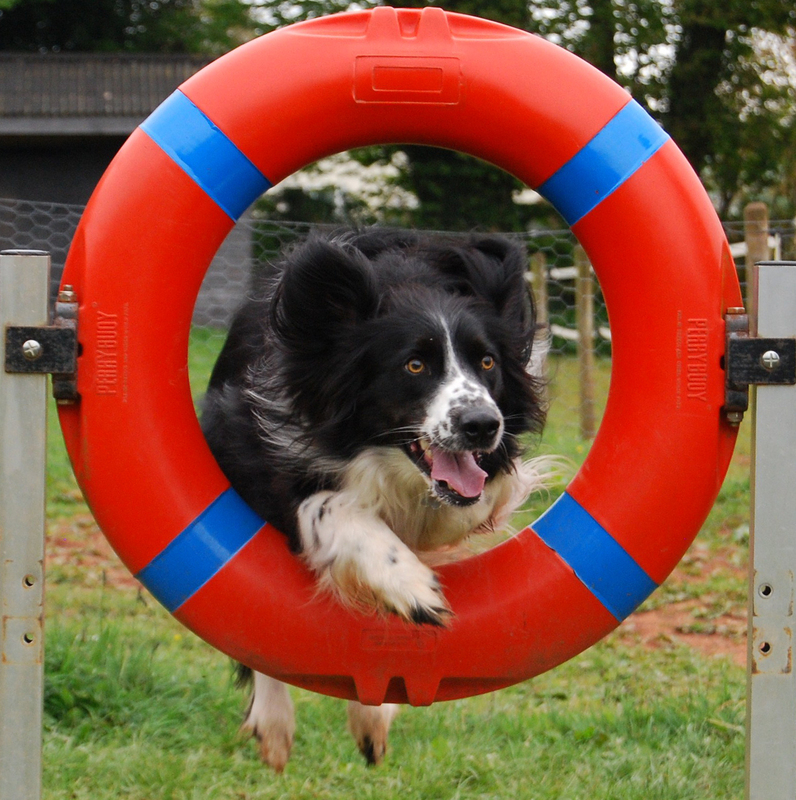 I started agility training with my little collie cross over twenty years ago; I went along to my nearest agility club, and although my collie cross spent most of her time outside of the ring eating everyone’s sandwiches, I persevered and went on to compete with my border collie, Tor. I loved the sport so much that I wanted to teach others about all the fun you can have with your dogs. One day in 2008 a lady called Fran asked if I would teach her and her young collie-spaniel cross, Jack. She was finding her dog very hard work, and was at her wits’ end, even considering taking him to the Rescue Centre, because she didn’t know what else to do. I explained that I was not a trainer, but perhaps we could do some recalls and fun focus work on getting her dog listening to her. We began on a Saturday morning, just her and myself, and we got to work. We started with the basics, recall and lots of play. She came back every week and over time improved her relationship with her lovely dog. It was thanks to her that I began teaching, as I could see the results every week. This lady and her dog have grown with me and my business – they are competing today and still train with me every Saturday. You can read more of their story below. I went on to train as an agility teacher, and received my LLAAI qualifications. I am always adding to my knowledge by continuing to attend teachers’ training courses and agility summer camps. I have six dogs now; two of them compete and at the moment I am training up my two youngsters. Click here to see pictures of my dogs. 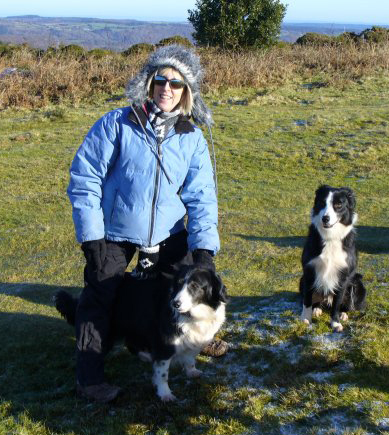 Just over 5 years ago my family and I lost our beloved and very intelligent border collie. We made the decision that our next dog would not be like our last and as our house was very empty without our beloved Buster we decided very quickly to get another dog. Much to my partner’s dismay this turned out to be a Spollie (Welsh Springer Spaniel x Border Collie). At 12 weeks old Jack came and joined our family from a local farm just the other side of Totnes, everything started off very well…………. At around 8 months Jack decided that while we were out on our walks I was no longer interesting enough for him and would clear off to see if there were any other dogs around that he could spend some time with. He started to have ‘selective hearing’ and would only return to me on his terms and would not come back even if I had his favourite treat. When his hormones kicked in I spent a lot of my time rescuing the local female dog population from his amorous advances and at the age of 10 months ‘I did the best thing’ you can do to a young amorous dog but this seemed to make little difference. Walks started to become very embarrassing and stressful for me and not fun. I was at my wits end and had started to think about possibly finding him a new home as I had tried all the training tips that had been offered to me in bountiful supply. I then hit on an idea. Our son was at secondary school and there was a lady who collected her son from the juniors who I knew did dog agility. I plucked up courage one day to speak to her and ask her if she did any teaching. Funnily enough she had just been approached by someone she knew to start up teaching agility for them. I told her how desperate I was and she very kindly arranged for me to meet her at a friend’s farm. We started in the corner of a field with a toy and a jump. 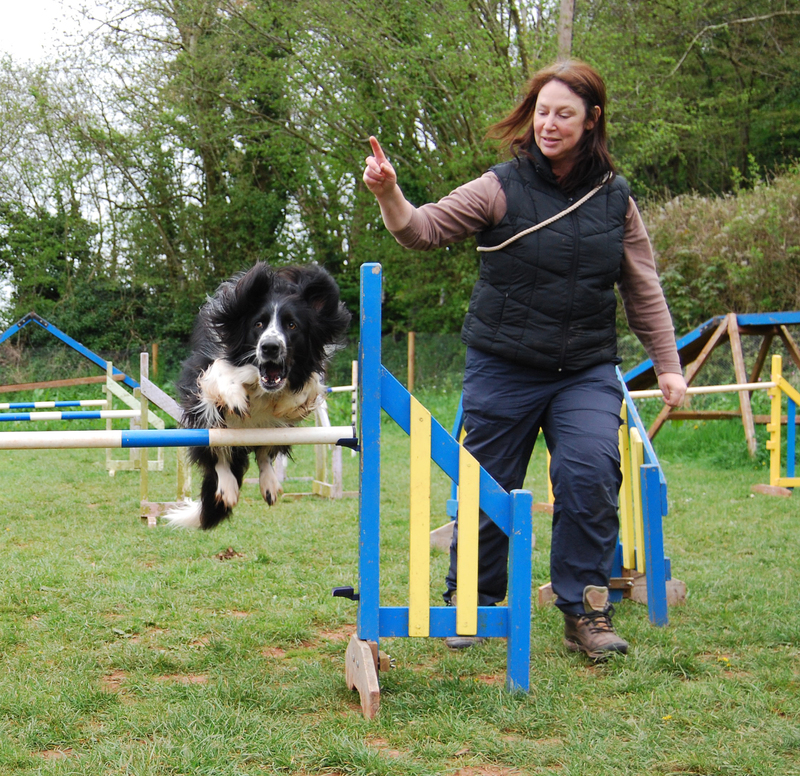 As the saying goes the rest is history, four years later we are still doing agility with Jan. We have started to go to a few shows but you don’t have to do that, agility is fun for both dog and owner and helps you to become a better partnership! Thanks Jan! !